newspapers, magazines, comics, books available to read, on your mobile & tablet devices. Readwhere is an online reading & publishing hub. Read epaper, magazines, books, comics etc. online & offline. 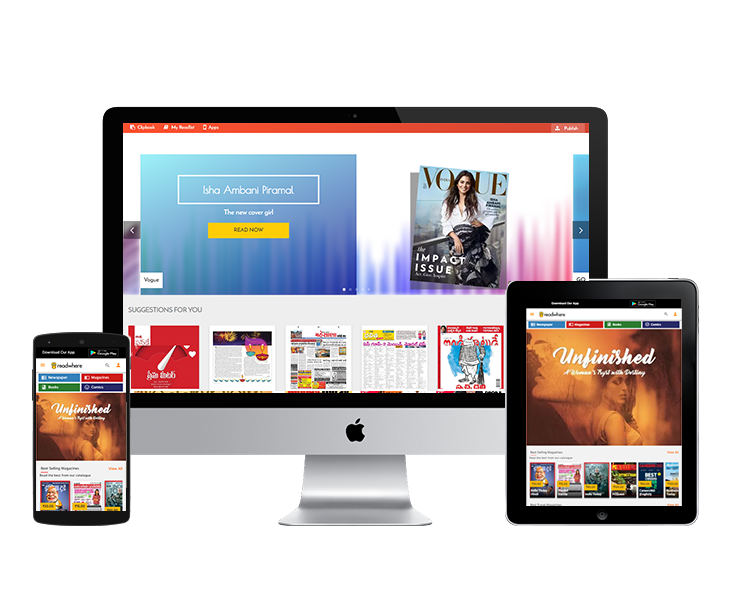 It provides the best content for reading on web, Mobile and Tablet Devices. It includes popular News Papers, Magazines, Comics, Books & Journals, all within the same application. Read content from some of the premier newspapers of India, most read magazines and popular comics. Newspapers are free to read. The languages covered include English, Hindi, Marathi, Malayalam, Tamil, Telugu, Punjabi, Gujarati and Kannada. Magazines include some of India's best known Magazine brands, publishing on categories ranging from News, Bollywood, Entertainment, Health, Art and Architecture, Automotive and many more. You consume information on various devices. 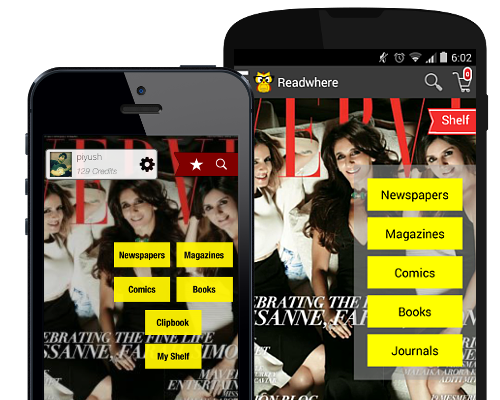 The readwhere application syncs your shelf on your mobile, tablet & desktop. You can read your favourite content online & offline on any device. 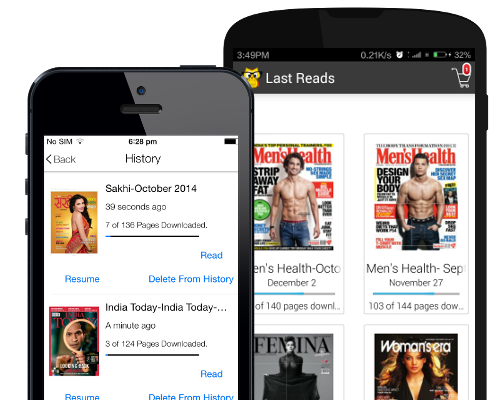 Download our app and read your favourite newspaper, magazine, books, comics, journals offline. 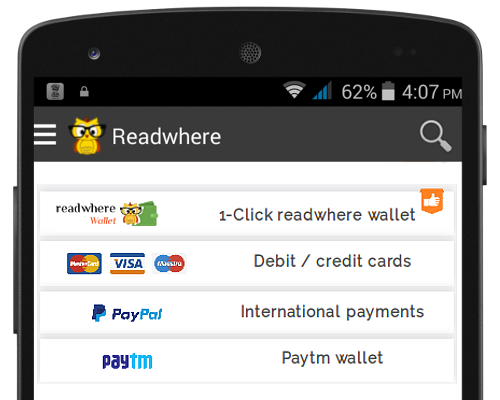 Fast forward your buying experience with Readwhere wallet. Enjoy 1-click hassle free transaction on any device. Plus, get extra credits upto 40% on wallet recharge ! Let's talk and sort out how to get your objectives done with maximum efficiency. Ring us on (+91) 124-4747500 .